Free Shipping! Ships in 2-3 weeks. 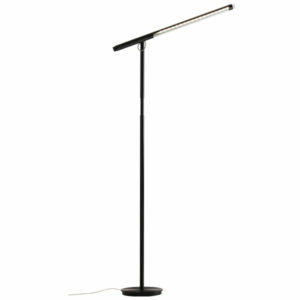 Equo® Desk Lamp features a discreet counterweight design for feather-light adjustability. One finger is all you need to adjust the floating arm’s position. The special neck joint maintains the head’s tilt as the arm swings up or down. Slide your finger along the stem’s touch strip to control brightness and power. The luminaire head is rotatable in 180 degrees and is detachable for easy replacement. Compatible with optional occupancy sensor. Warm or cool LED light options are available. Warm color temperature provides a light more like incandescent, a warm glow. Cool color temperature will create a whiter, almost blueish light.